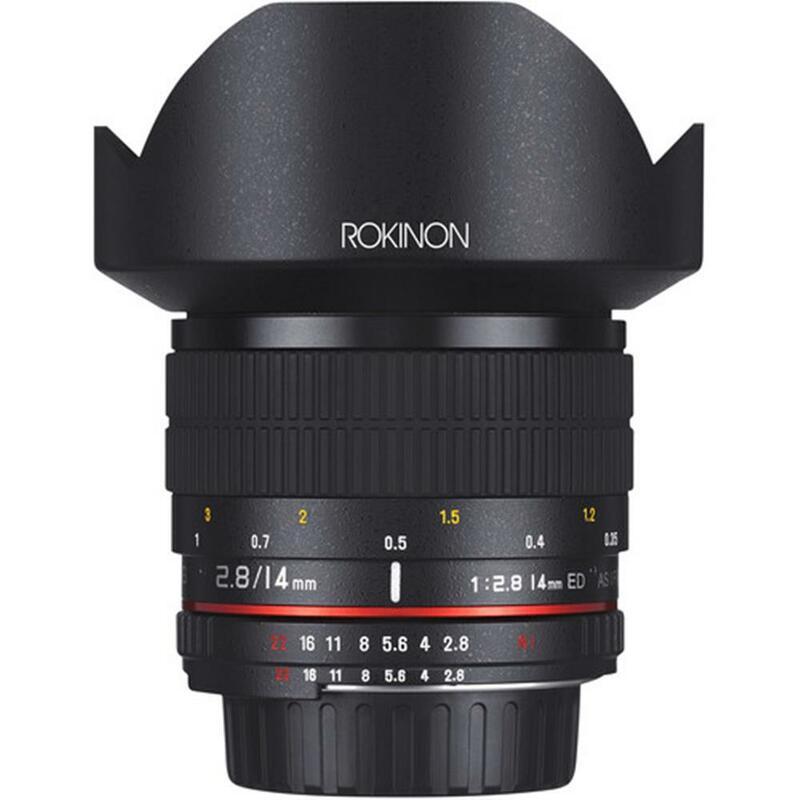 The 14mm Ultra Wide-Angle f/2.8 IF ED UMC Lens For Canon from Rokinon gives you approximately a 115 degree view with dramatic results when used with a full-frame digital camera or 35mm film camera. Wièh hybrid aspherical lenses, you will produce sharply defined images with a minimum of distortion and chromatic aberrations. This manual focus 14mm lens focuses as close as 0.9' (28 cm) from the lens, and has a built-in petal-type lens hood. With some cameras, Shutter Lock must be disengaged on the camera's menu.